How much do you think you know about producing grass finished beef? Test yourself by taking the Grass Finishing Quiz. Select the radio buttons with the best answers. Once selected, answers cannot be changed; but you can reload the grass finishing quiz at any time to start over. Have fun and come back as often as you like to retest your grass finishing skills. 1. 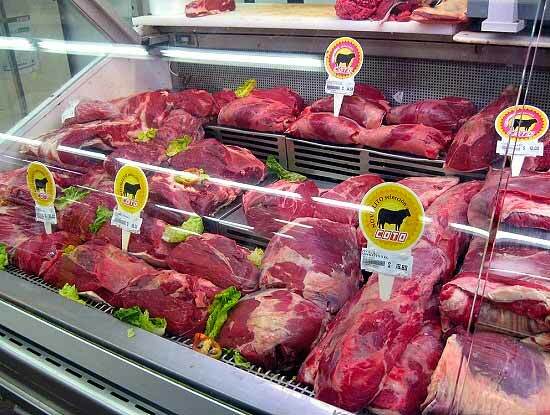 Which of the options below is the primary factor responsible for beef tenderness? 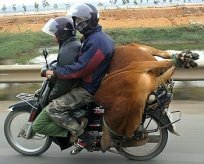 Cattle breed and cattle genetics. The type of feed used during the finishing process. The microscopic intra-muscular fat cells within the meat fibers. 2. Which adjustments, if any, do you need to make when cooking grass finished beef steaks and roasts instead of grain-finished beef steaks roasts. A. Increase cooking temperatures by 10-15%. B. Reduce cooking temperatures by 10-15%. Grass finished beef and grain finished beef cook exactly the same - no temperature or cooking time adjustments are needed. 3. 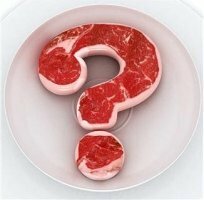 Which of the following cattle stresses will affect beef tenderness and flavor? A. Cattle prods and lots of shouting when the truck is loaded on the way to the slaughterhouse. B. Pasture moves that do not happen at consistent times of the day, EVERY day. C. Inconsistent pasture quality from day to day due to cattle not being moved to a fresh grazing slice every day. D. A water trough that is slow to refill, causing cattle to line up for a drink. E. Mixing herds together that do not know each other in the last weeks before slaughter. 4. Which of the four statements below is FALSE about the difference between grain finished and grass finished beef? 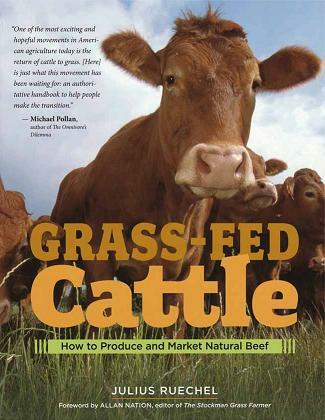 Grass finished beef has a fatty acid ratio of approximately 2:1 (omega-6 to omega-3), whereas grain finished beef has a fatty acid ratio of approximately 4:1 (omega-6 to omega-3). The grass-digesting and grain digesting enzymes in cattle rumens are able to work side-by-side without affecting each other. Switching from a grass-rich to a grain-rich diet causes a massive increase in stomach acidity in the cow's rumen (approximately 100X increase in acidity) because of the shift from grass-digesting to grain-digesting enzymes. 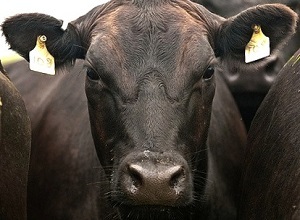 The natural life expectancy of cattle on a grain-intensive finishing diet is much shorter than the natural life expectancy of cattle on a grass-rich finishing diet. 5. Cattle must be gaining weight up to the very last day of slaughter to ensure maximum beef tenderness and flavor. Which of the four statements below is NOT an important strategy to ensure maximum cattle weight gains every day, right to the day they are slaughtered? A mineral and nutrient supplement program is a vital part of your grass-finishing strategy. Monthly forage analyses are essential for monitoring whether pasture quality is sufficient for grass finishing and what supplements must be provided to make up for any shortfalls. Your supplement program is only necessary outside the growing season, but not while the grass is lush, green, and growing. Based on your pasture forage analyses, a livestock nutritionist can calculate when your cattle weight gains will cease as pasture quality deteriorates in late fall and early winter. 6. Which of the four statements is TRUE about how react to stress? A. The effects of cattle stress can continue to negatively affect beef tenderness and flavor for weeks or even months after the initial cause of stress has been resolved. B. Cattle stress is contageous in that stressed animals can spread their stress to other animals that have not been exposed to anything stressful, thereby negatively affecting the beef tenderness and flavors of the rest of the herd. C. Cattle stress is cumulative. Cattle will quickly settle down after a single accidental loud gate crash, but if yelling, crashing gates, cattle prods and other stresses persist or become a frequent part of the cattle's lives, their stress won't simply fade away by a return to calm pastures. D. Adrenaline is the glue that helps the brain determine which events to remember and which to forget, which is why stressful events can have such a long-lasting effect on cattle psychology. 8. Which of the following point(s) is NOT a reliable strategy for evaluating the tenderness and flavor of grass fed beef? A. Start with a small beef sample and trust your palate to judge beef tenderness and flavor. B. The USDA beef grading system printed on the package. C. Beef marbling (the visible fat streaks in the meat). D. Asking the farmer about the details of their beef finishing program. E. Do a drive-by of the farm that produces your beef and/or arrange a farm tour. 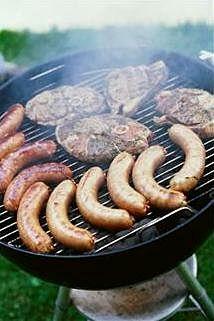 Microscopic fat cells within the muscle fibers makes meat tender. 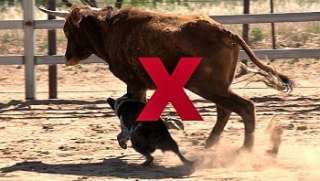 The 'finished weight' when an animal is fat enough for slaughter will vary from breed to breed and depends on the frame size of the individual animal. A meat animal must be gaining weight at the time it is slaughtered. Nutritional stress is as damaging, or more damaging, than handling stress. The side-effects of cattle stress can last weeks or even months after the stress itself is over. 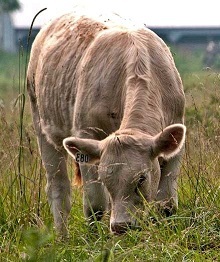 Pasture grass is insufficient for finishing beef cattle; cattle must receive a specially-formulated finishing ration during the beef finishing stage. Cooking techniques are just as important to beef tenderness and flavor as what the farmer does with the cattle on pasture. Switching from cooking grain-fed to grass-fed beef requires a few very simple adjustments. 10. Planning Scenario: A farmer is setting up a grass finished beef program. He has Simmental cattle and lives in a seasonal northerly climate. His reliable growing season is from May through early October. His herd calves in early summer, in June, on pasture. A major grocery chain has indicated that they are interested in buying grass finished beef from him, wholesale, which they will sell through their nation-wide stores as a frozen specialty beef item. However, based on the previous 24 months of monthly forage analyses, the farmer has calculated that his pasture quality deteriorates sufficiently by end of November to prevent further grass finishing. By that time his Simmental yearlings will be about 17-18 months of age and about 1100 pounds, still well short of the 1400 lbs required to finish Simmental cattle. All but one of the options listed below are some of the valid considerations that could enable the farmer to supply grass finished beef to the interested grocery chain. Which strategy is NOT a valid consideration for his planning scenario? Overwinter the yearlings for a second winter to grass-finish them to the desired weight on pasture the following summer. Learn how to prepare tall, high-quality pastures specifically for winter grazing in order to extend the grass-finishing season later into the winter, then complete the grass-finishing process the following spring on pasture. 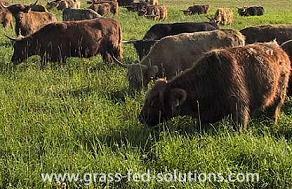 Plant annual grazing crops, like grazing corn, to extend the grass-finishing season deeper into the winter, then complete the grass-finishing process the following spring on pasture. Use mineral and nutrient supplements like alfalfa pellets to extend the grass-finishing season for a few more months into the winter, then complete the grass-finishing process the following spring on pasture. Use a grain-finishing ration during the winter months and then slaughter the following spring when the cattle are back on pasture. Switch to a different smaller-framed breed that finishes younger and at a lighter weight, such as Angus, which finishes between 16-18 months of age and around 1050 pounds. Buy yearlings from off-farm for grass-finishing instead of grass-finishing calves born on-farm.